This episode discusses similarities between engineers and accountants, and provides a brief overview of accounting terminology. Like most engineers, Brian has gone through the process of assigning his engineering costs to a seemingly endless list of expense accounts. 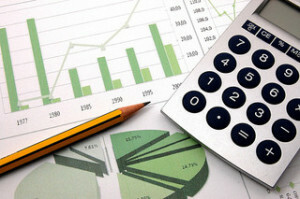 Accounting is an important function in virtually every business. Today’s episode considers some of the similarities between accounting and engineering. Accounting is the collection, organization, analysis, and presentation of financial records relating to an organization’s activities. Jeff references the text-to-speech cartoons generated online at xtranormal.com. Apparently, there’s a brief series of these videos dedicated to public accounting (foul language, NSFW). There is a difference between accounting and bookkeeping. In double-entry bookkeeping, the debits and credits always have to balance. The definitions of debit and credit have specific meanings for accountants that are different from the meanings commonly assigned in everyday usage. Financial transactions are recorded in ledgers, which may be one of five types: assets, liabilities, income, expenses, or equity. All the individual ledgers are combined to create the general ledger. Most financial statements are prepared in accordance with Generally Accepted Accounting Principles (GAAP). Accountants general adhere to the matching principle and the convention of conservatism. Financial years do not have to match up with the calendar year. Overly conservative estimates of project costs can have negative impacts on an organization’s financial planning. Accounting is carried out either on a cash basis or on an accrual basis. Billing and payment terms are often much different in industry than what household consumers are used to. Accounting activities are typically divided into financial and managerial accountancy. Financial reports for publicly traded companies in the United States can be found on the EDGAR website that is run by the Securities and Exchange Commission (SEC). Four common financial reports are the balance sheet, the income statement, the cash flow statement, and the statement of retained earnings. On a balance sheet, accountants must balance the equation Assets = Liabilities + Ownership Equity. A company’s value may exceed its net assets by an amount known as goodwill. Depreciation is a means for dealing with an asset’s reduction in value over time. Brian refers to the “We’ve fixed the glitch” scene from The Office. Costs can be either fixed or variable, and either direct or indirect. Indirect costs are often referred to as overhead. The precise method of overhead allocation is a managerial decision. Accountants also have to deal with the time value of money. I am interesting in accounting for engineering due to the relation between engineering & other fields.